Nostalgia surely runs through your mind when you hear about tamarind. Remember the times when you pluck it from the trees and savor the tangy taste with your cousins and friends. It is also part of your kitchen essentials and adds delicious flavor to your dishes. Furthermore, there are number of health benefits of tamarind that works incredibly beyond its taste. So, pluck out the benefits of tamarind that help you lead a healthy life. Indigenous to hot regions of Africa, this fruit provides delicious, sweet, and sour flavor. Tamarind has a wide variety of uses, both for medicinal and culinary purposes. They belong to the family Fabaceae, have only a single species and bears the scientific name, Tamarindus indica. Tamarind is a medium-sized, bushy, leguminous tree with evergreen leaves, and produces pod-like fruits. Its cultivation has now spread to almost all the tropical regions of the world. Today, India is the largest producer of tamarind. The inside of a tamarind fruit is a sticky, fleshy, and juicy pulp, where the taste and the nutrition reside. Tamarind can be consumed raw, added to desserts or other dishes once it is ripe, and can be dried to ground into a spice. It is also an important ingredient for Asian cuisines. Tamarind can grow up to 80 ft high with a widespread of 20 to 35 ft. The flower buds are pink due to the outer color of the 4 sepals which shed when the flower opens. Tamarind is one of the ingredients of Worcestershire sauce. Tamarind can be used as tarnish remover. Pure tamarind has three main forms: raw pods, pressed blocks and concentrate. It’s also available as candy and syrup. The nutritional value is given below is per 100 grams of tamarind. Loaded with beneficial vitamins and minerals, there are number of health benefits of tamarind that are truly undeniable. Does Tamarind Improve Your Blood Circulation System? Yes, it does. Tamarind is a very good source of iron and a single tamarind can provide 10% of your daily recommended portion of iron. The iron and vitamin B1 in tamarind helps in red blood cell generation, and this ensures proper oxygenation of different cells and organs. Tamarind also keeps anemia at bay, an iron deficiency that causes weakness, fatigue, headache, cognitive disorders, and stomach issues. How Does Tamarind Protect Your Heart Health? High blood pressure and increase in level of cholesterol are the major cause of heart problem. The fiber and antioxidant Vitamin C content in tamarind has a great effect in reducing cholesterol. They scrap out the LDL (bad cholesterol) from the veins and the arteries and promotes HDL (good cholesterol). The impressive amount of potassium content is also known to reduce blood pressure. It is knows as vasodilator as it cuts the stress of cardiovascular system and helps in the regulation of heartbeat. Having tamarind improves your digestive system. The abundant fiber content makes it a natural laxative. The fiber bulk up the stool to make it move easily through the smooth muscles of the intestinal tract. Tamarind is also considered to be a bilious substance as it stimulates the activity of bile. The fiber accelerates the gastric juices to speed up the digestion and the bile helps in dissolving the food faster. Tamarind improves the bowel movement and hence acts as a remedy for chronic constipation. And, oddly tamarind reduces loose stools which makes it effective against chronic diarrhea as well. Isn’t this great? Tamarind contains a compound called hydroxycitric acid (HCA) which is directly linked to weight loss. 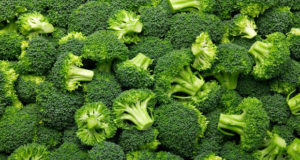 This compound inhibit an enzyme that helps the storage of fat in our body. Tamarind also also lowers your appetite for a longer period of time by increasing the secretion of serotonin (a neurotransmitter). It is now considered to be a promising weight loss supplement. It slows down the carbohydrate absorption by inhibiting the enzyme alpha-amylase. High consumption of carbohydrates lead to the formation of simple sugars or fats, which increases the insulin level. Tamarind helps in monitoring and managing blood sugar fluctuations. Tamarind is a good source of vitamin B complex, thiamine, an important part of the vitamin B family. 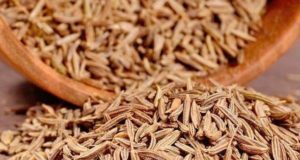 It is a natural ingredient for better cognitive function. Thiamine improves the nerve function, develops muscles to help you remain active, and maintain your reflexes. Abundant amount of vitamin C and other antioxidants guard your cell from foreign body invasion. Its antiseptic and antimicrobial properties boost your immunity, and ensure you long-term health from microbial and fungal infections. It is also linked to eliminate stomach worms in children. Tamarind is one of the best natural medicines for inflammation. Inflammation affect our organs and cause a great deal of discomfort and pain to our body. Tamarind possesses a number of anti-inflammatory abilities such as reduction of joint pains, arthritis, rheumatic conditions, and gout. This fruit breaks down the inflammatory chemicals like interleukin and blocks the formation of enzymes which are responsible for breaking down of bones and cartilage. For Skin: The tamarind seed extract boosts the elasticity of the skin, and provides smoothness and hydration. The hydroxycitric acid (HCA) present in tamarind helps you get rid of fine lines and wrinkles. It acts as anti-aging and skin-lightening agent. Tamarind mixed with tea water makes a great skin-hydrating toner. 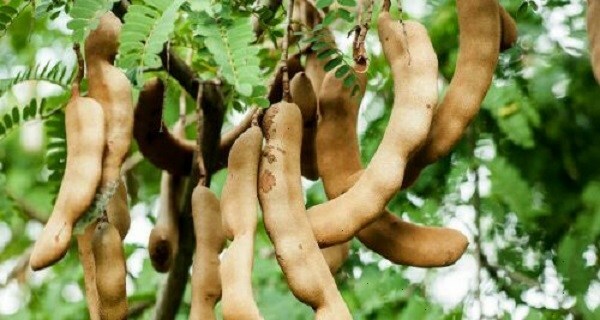 For Hair: Tamarind is most sought for strengthening hair and preventing hair loss. It also controls the sebum production in your scalp and protects from hair disorders, including dandruff and hair fall. For Face: Tamarind saves your day from annoying pimples as well. The rich source of vitamin A, C and other antioxidants act against this skin problem. To get a glowing skin, mix tamarind extract with turmeric powder and fresh yogurt. Apply this pack in your face and allow it to dry for 15-20 minutes. Wash off with warm water and apply a good moisturizer. So, that was the long list of health benefits of tamarind. Tamarind, not only adds flavor to your dishes, but also provides you with many benefits that improves your health. Add a proper amount of tamarind to daily diet and lead a healthy life.